K.o.A. is not a band, but for me it is much more then a normal project. Keyboards, ein wenig Gitarre und wenn es sich gar nicht vermeiden läßt, auch Bass. Außerdem sind befreundete Musiker in das Projekt involviert. folgte dann ein mehrseitiges Interview. wieder wurde die Platte zur CD des Monats gekürt. Auch bei „The Rhythmic Drawing Room“ reißt die Serie nicht ab. 2011 erblickte “From A to A” die Welt, ein Konzeptalbum über Andernach. 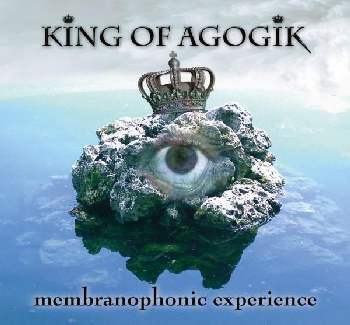 Who is the King Of Agogik and why did you choose that rather peculiar name? Can you tell me a bit more about your musical background and where you come from? How would you describe your music? I would say it’s old school progressive rock performed with modern technology. 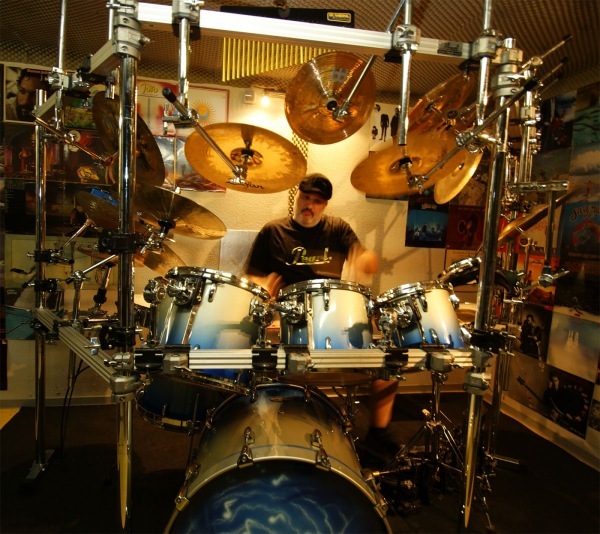 Why did you call your debut Membranophonic Experience (a drummers little ego trip)? Has the album a story or concept? On the cover of that album I noticed a rock with an eye wearing a crown. Can you explain the use of this cover? 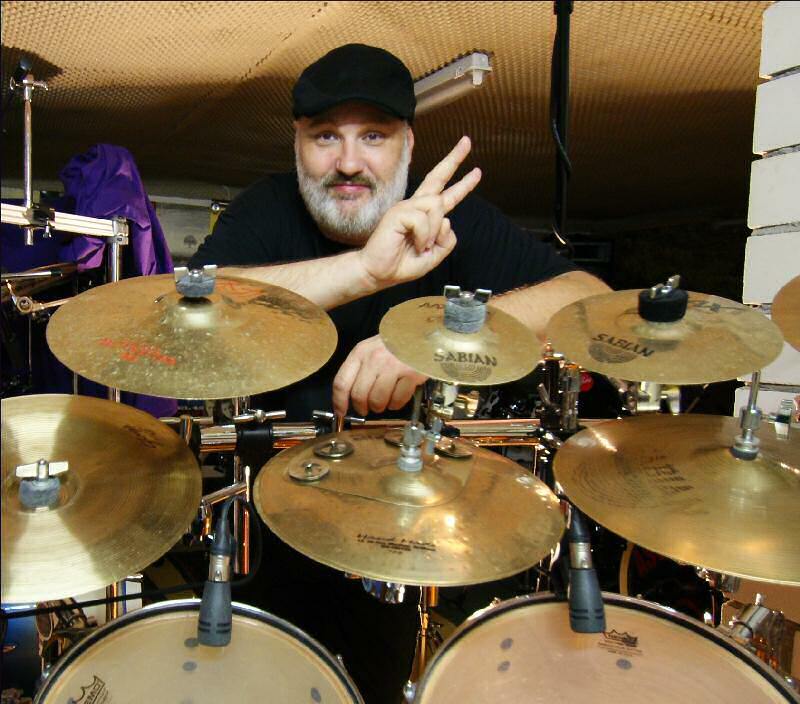 The album contains many styles including prog rock, jazz rock and fusion. Did you try to find a style of your own on this album? Do you have a dream yourself like Martin Luther King had on King’s Dream? You use a lot of samples and sounds in your music. Where do you take them from? On your debut you used three different bass players. Why did you do that and why contains an album made by a drummer a real bass solo on Bassomania? On Go Where The Pepper Grow I heard The Beatles. Is it a tribute to them? 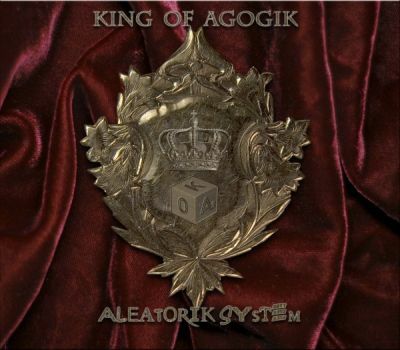 Two years after your debut album you released Aleatorik System, again a rather strange album title. Can you explain it and is it a conceptual album as well? The album shows a musician who has found a musical style of its own. Do you agree? The credits mention AMC Choir Miami. Did you use a choir on the album and what was the reason? 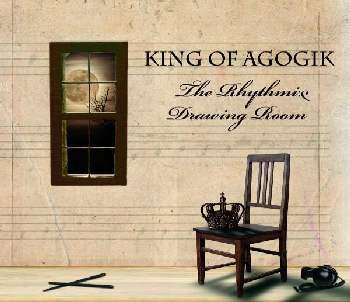 Your previous album is called The Rhythmic Drawing Room (2009). What is it exactly and why did you use this title? Why did you release it as a double-CD? Was it difficult to write so much music? On this album you used for the first time other keyboard players. Why did you ask them to play on your songs? On Prog ‘n’Roll I heard the sound of a live audience. I guess it was taped somewhere or was the music really performed in front of an audience? The inside cover of The Rhythmic Drawing Room reminded me of Pictures At An Exhibition by ELP. Do you agree? Do you consider your latest album From A To A to be your best album so far? Why did you call the album From A To A? Our reviewer called the album ‘sensational’. He stated that you’re the first artist who recorded the entire musical history of prog rock on one CD. All songs contain many sub genres like neo-prog, prog metal and heavy metal, but also new age and space rock and the influences from many artists in these genres. I guess he’s right in a way or don’t you think so? On From A To A you mentioned Amsterdam, Vancouver, Cambridge, Tingsryd, Bonn and Friedrichsdorf in the credits. Why did you mention these cities? Erik Vaxjö played the Mellotron, but did you play it yourself as well this time? Is Blue Tears a song about World War II? Thanks for this extensive explanation. On From A To A you used a musical part of Popcorn, a song written by Gershon Kingsley and mostly known as the instrumental dance hit by Hot Butter in 1972. Are you free to use this kind of fragments without paying royalties? I saw that you dedicated the album to Hermann Schmitz. Is he a relation of yours? Will you ever release a vocal album or an album on which the drums are mixed less up front? You released all your music on sAUsTARK Records. Is it your own label? Did you try to find other labels to release your CDs? On all four albums guitarist Dirk ‘Dago’ Wilms contributed. How did you find this fantastic musician? Since 2006 you already released four albums of which one of them is a double album. Do you have so much inspiration or what? Do you ever think of performing your music on a live stage or is King Of Agogik just a studio project? Your music is very cleverly made and enjoyable for lovers of prog rock. Nevertheless the music sometimes tends to sound alike. Do you realize this and do you try to avoid this on your next albums? Would you name the musicians that influenced you most and would you like to record or play with them? Would you please say a final word to our readers and how they can in touch with your music?